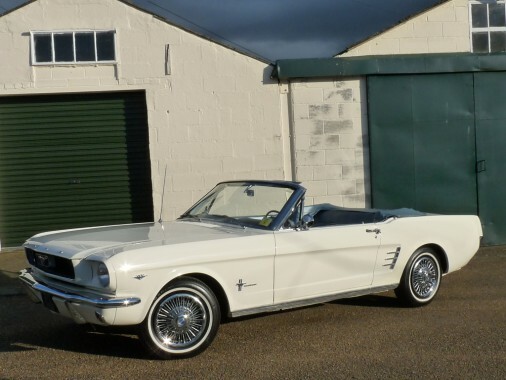 This Mustang is in its original specification throughout. Fitted with a correct, rebuilt 289ci, 4.7 litre V8 engine and automatic transmission, this Mustang was kept by its last owners in North Carolina in the US for over nineteen years during which time they used it for high days and holidays and for touring. It comes with a power roof which was renewed a few years ago, a hood tonneau, wheel spinners and a radio cassette player. The bodywork was restored in the States, with photographs to show, and was finished in the car's original Wimbledon white. The engine bay is detailed, all the fixtures and fittings are in excellent order, and the interior is in the correct light blue and has custom floor mats fitted. The power hood works perfectly.